Master Deng grows his Bai Hao on the low western plain of Miaoli County. The tea is moderately well oxidized and lightly roasted. The small leaf sets have been carefully selected during harvest and there is an abundance of the famous white tips. The tea liquor is a pleasing dark amber color. The full aroma is classically honey-scented. In the mouth is a rich, ripe fruit characteristic and a pleasing acidity along the edges of the tongue. The finish is long and lasting. This definitely is a superior quality Bai Hao tea. 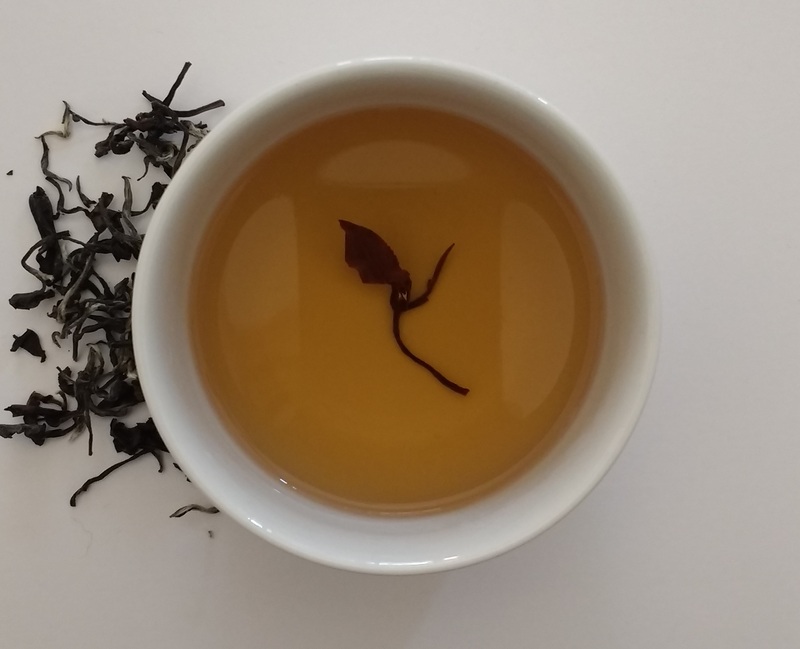 Stories abound as to how this delicious, aromatic, “bug bitten” oolong tea came to have some of its many names, though most of these certainly are apocryphal. Too frequently one reads about a Queen of England (sometimes Victoria, sometimes Elizabeth II, even though these two reigned in different centuries) referring to the tea as a true “oriental beauty.” The name is said to have stuck and then been translated back into Mandarin as “Dong Fang Mei Ren.” The tea has been known in the local Hakka community as “Pengfeng cha” or “braggers tea,” a reference to the high price it supposedly obtained when the white tipped tea, thought to have been ruined by an attack by leaf hoppers, instead obtained a high price in commerce and lead to boastful claims in consequence. 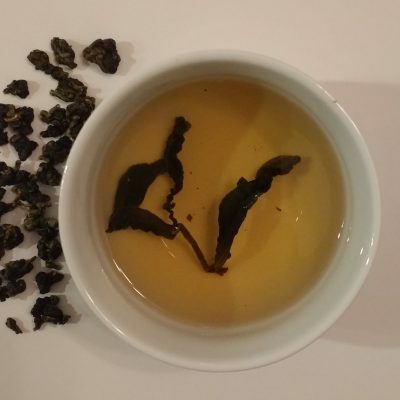 We prefer the more prosaic yet descriptive name “Bai Hao” (white tip) for it truly is that. 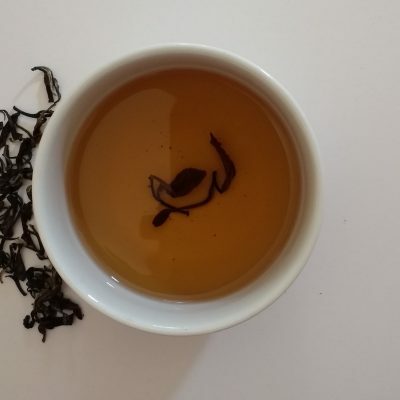 One caution; always make sure the white tips are attached to lower leaves for some unscrupulous vendors are known to toss some tips into ordinary tea to increase its selling price. To prepare this tea in the traditional gongfu style use a gaiwan or Yixing pot and 6 grams of tea per 100ml of water at 212°F. Steep for 10 seconds and then increase time with each subsequent steep. 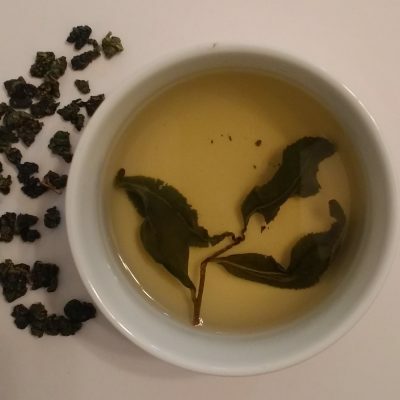 For an 8 oz cup, use between 3-5 grams of tea. This is a wiry leaf so practice is required to get the correct amount. Pour 212°F (100° C) over the leaves and steep for 1 minute. Always remember to adjust steeping time depending on water temperature, amount of tea you have and personal flavor preference. Increase time and temperature slightly with each infusion.